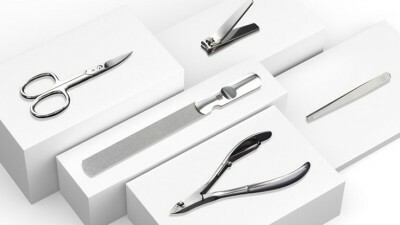 With the ZWILLING Classic Inox Manicure range, turn your personal care into an individual treatment. 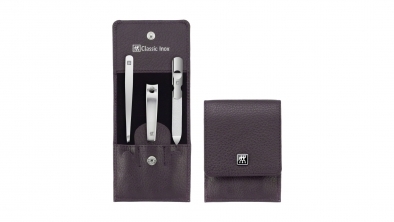 ZWILLING Classic Inox Cases are visually appealing with classy, polished instruments and high-quality leather cases. 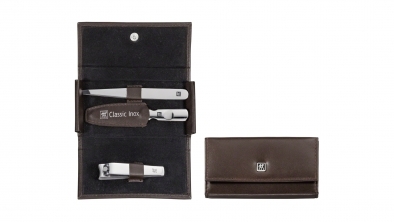 High-quality cases in genuine leather with fine velvet interior. 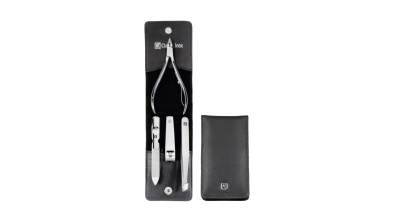 Calf Leather Pocket Manicure Set, Pink, 3 Pcs. 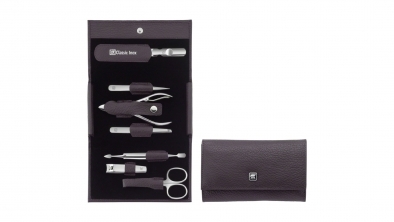 Calf Leather Pocket Manicure Set, Purple, 3 PCS. 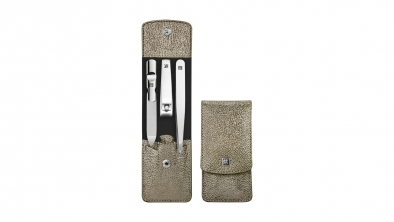 Calf Leather Manicure Case with Snap Fastener, Purple, 5 pcs. 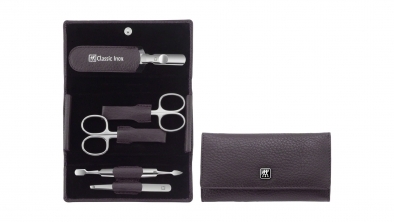 Calf Leather Manicure Set with Snap Fastener, Purple, 7 Pcs. Calf Leather Pocket Manicure Set, Blue, 3 Pcs. 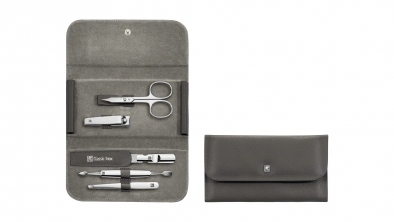 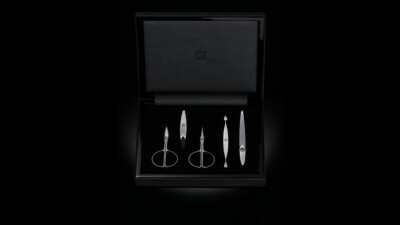 Calf Leather Pocket Manicure Set, Silver, 3 Pcs. Snap fastener case, neat's leather, anthracite, 5 pcs. Calf Leather Pocket Manicure Set, Black, 3 Pcs. 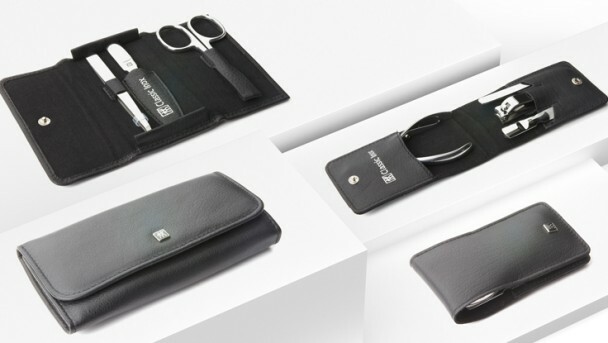 Frame case, neat´s leather, black, 5 pcs. Calf Leather Pocket Manicure Set, Red, 3 Pcs. Calf Leather Manicure Set with Snap Fastener, Red, 5 Pcs. 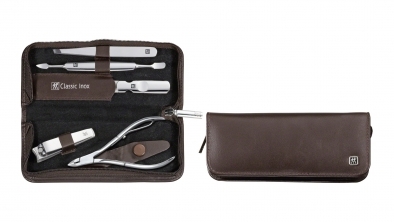 Calf Leather Pocket Manicure Set, Brown, 3 Pcs. 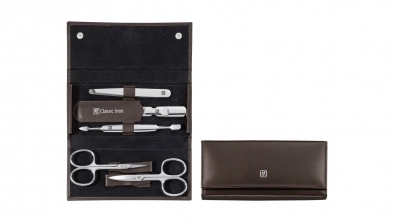 Calf Leather Manicure Set with Zip Closure, Brown, 5 Pcs. 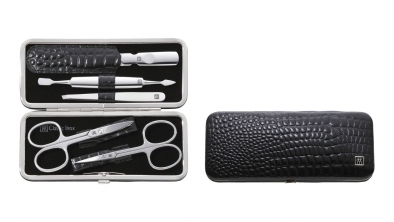 Calf Leather Manicure Set with Snap Fastener, Black, 5 Pcs. 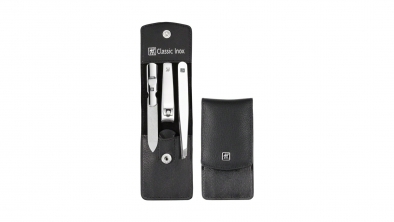 Calf Leather Pocket Manicure Set, Black, 4 Pcs. 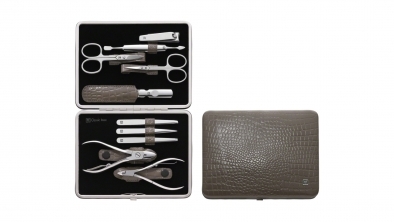 Calf Leather Manicure Set, Taupe, 10 Pcs. 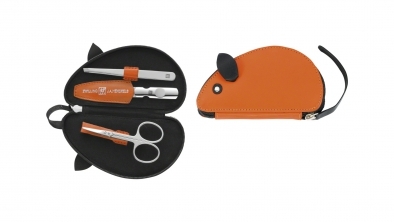 Leather Mouse Shaped Manicure Set, Orange, 3 Pcs. 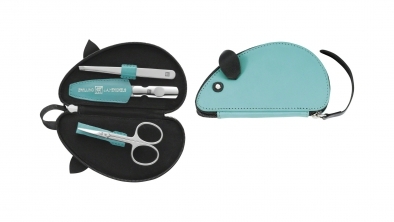 Leather Mouse Shaped Manicure Set, Turquoise, 3 Pcs. 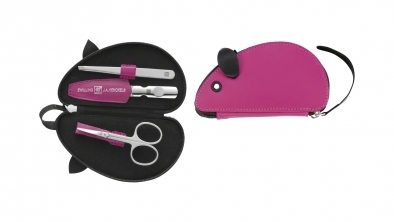 Leather Mouse Shaped Manicure Set, Pink, 3 Pcs. 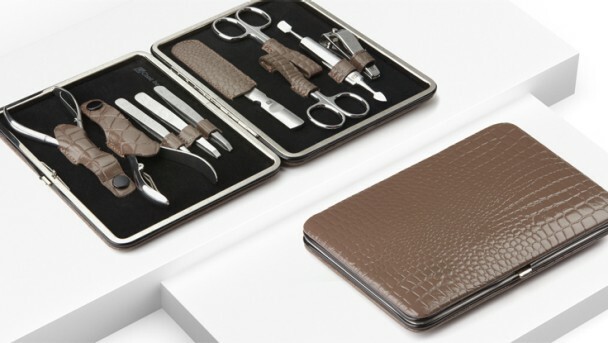 Snap fastener case, neat's leather, brown, 5 pcs.